Gold has anti-pathogenic properties. It’s used in luxury skin products around the world. 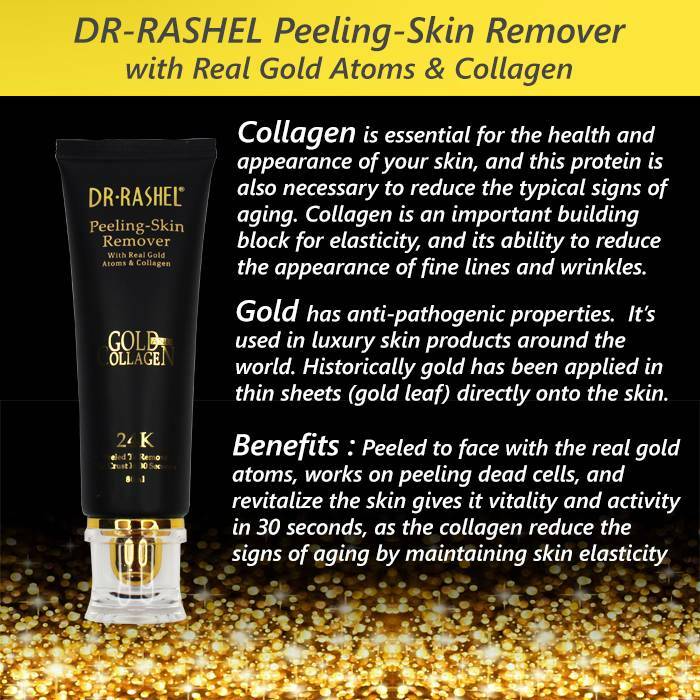 Historically gold has been applied in thin sheets (gold leaf) directly onto the skin. 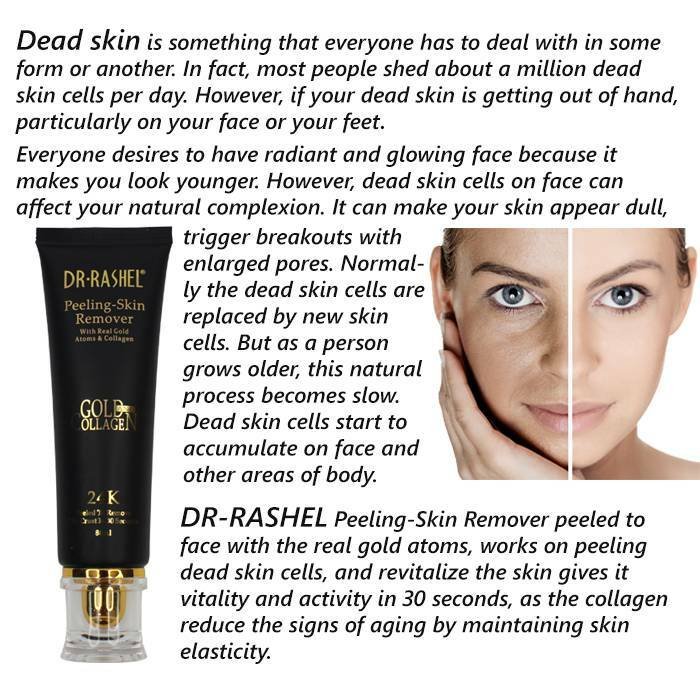 Benefits : Peeled to face with the real gold atoms, works on peeling dead cells, and revitalize the skin gives it vitality and activity in 30 seconds, as the collagen reduce the signs of aging by maintaining skin elasticity. 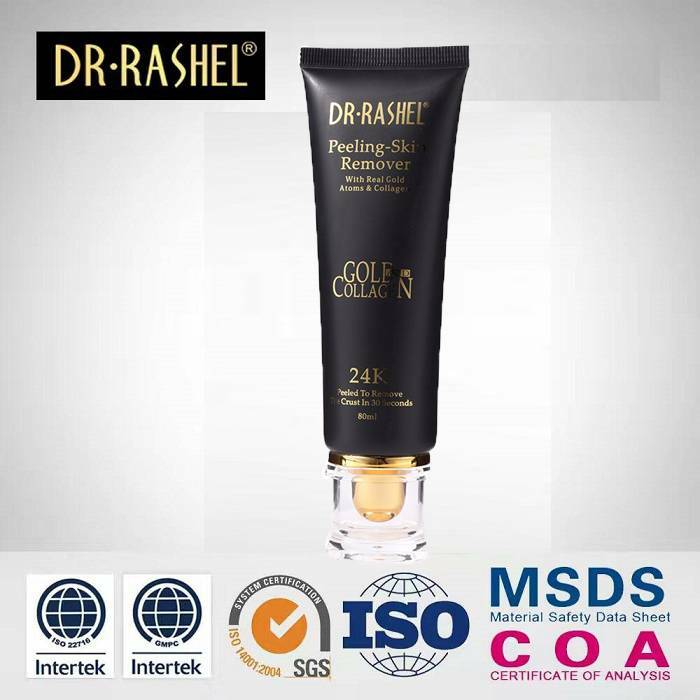 Ingredients: aqua, glycerin, prophylene, glycol, carbomer, gold, betaine, cladosiphon okamuranus extract, 'tremella fuciformis polysaccharide, phenoxyethanol, fragrance. How To Use : Apply a small amount on the face, massage for 30 seconds in a circular motion to exfoliate dead skin cells, then rinse with water. Avoid eye area when using.